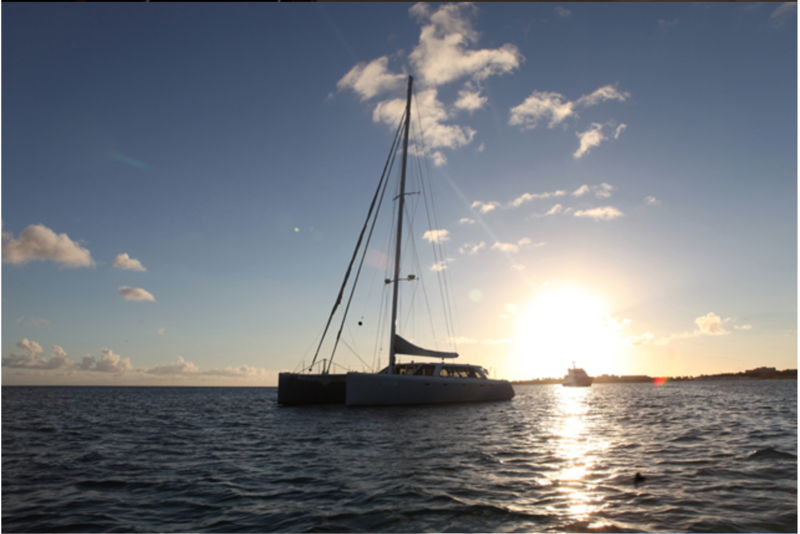 20m/66ft luxury catamaran SLIM was designed in South Africa by Morrelli & Melvin, built by Gunboat in 2012 and last refitted in 2015. 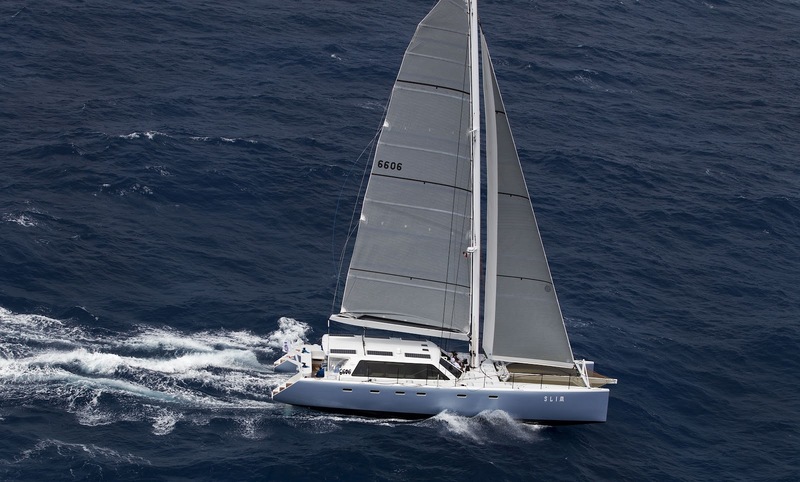 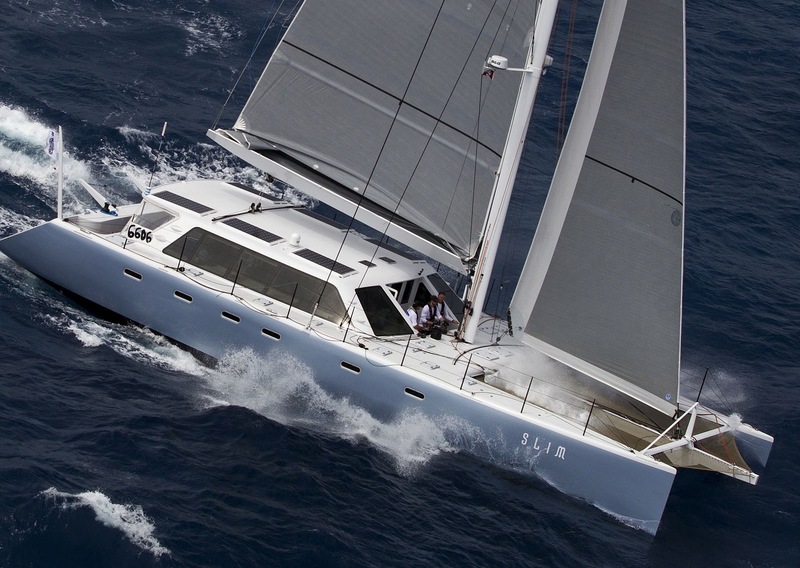 S/Y SLIM is the final hull in the 66 series and is constructed of carbon fibre. 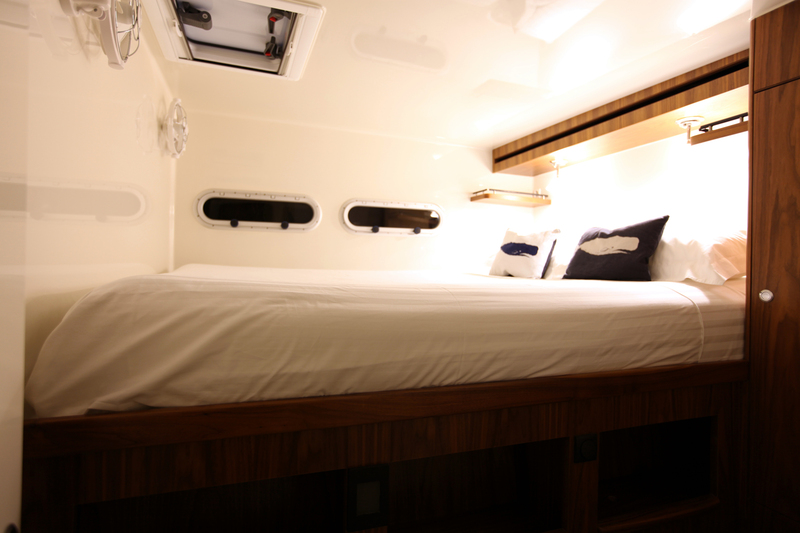 There are three cabins to sleep up to six guests, ideal for family charters or luxury holidays with friends and couples. 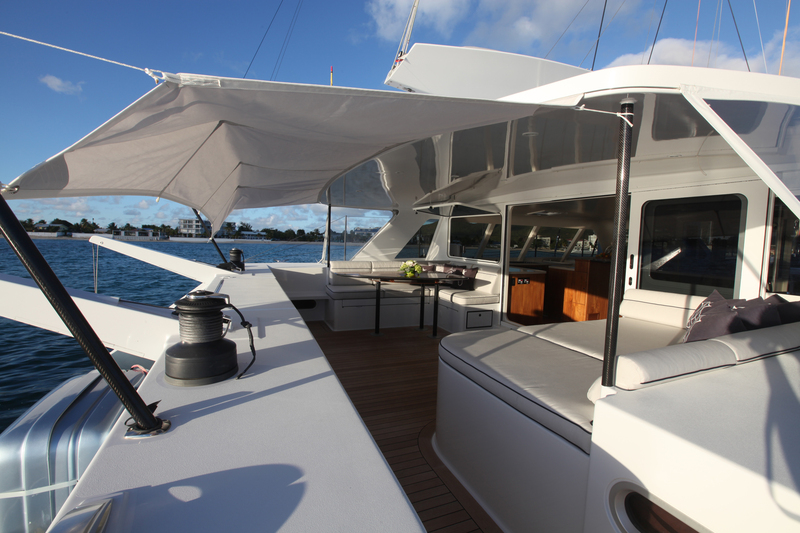 The foredeck has two forward trampolines that are popular with children and make an ideal spot for sunbathing. 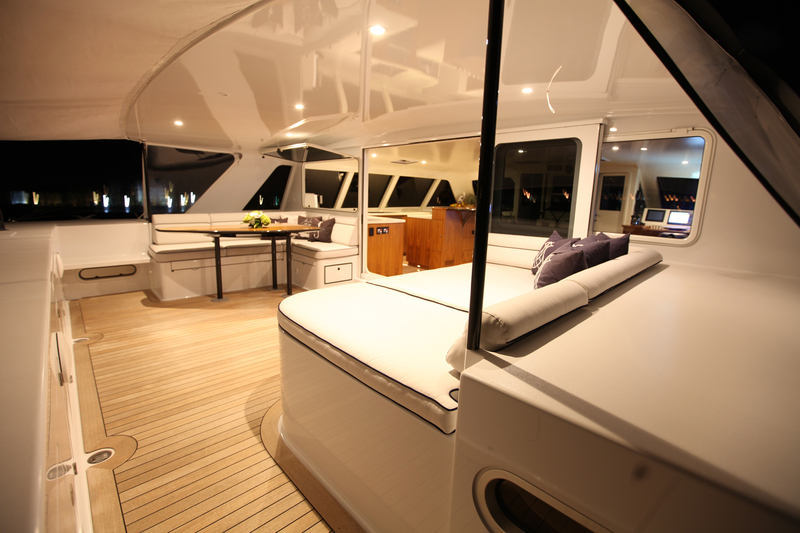 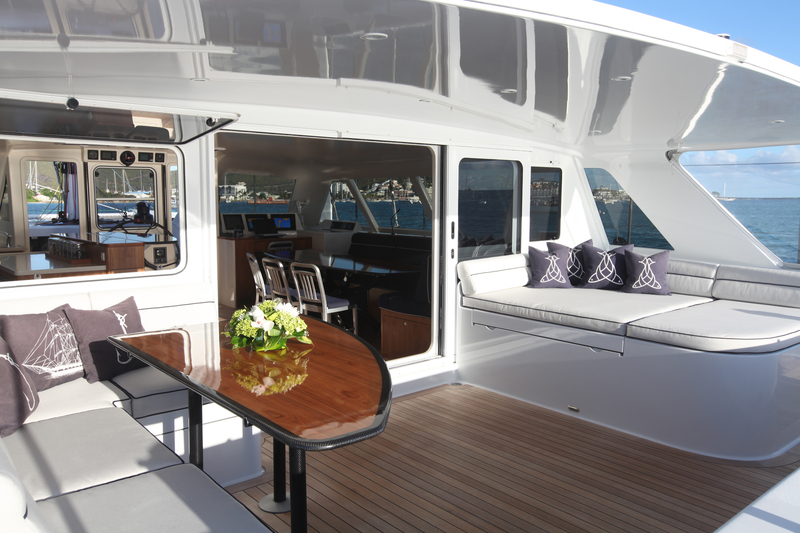 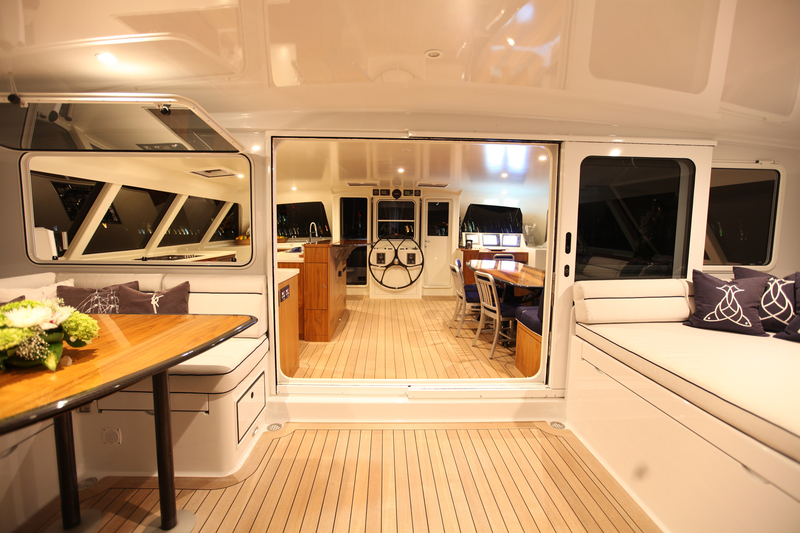 The aft deck cockpit is shaded by the hardtop overhang and offers a casual alfresco dining area beside an L-shaped sofa and a sofa-sun pad to starboard. 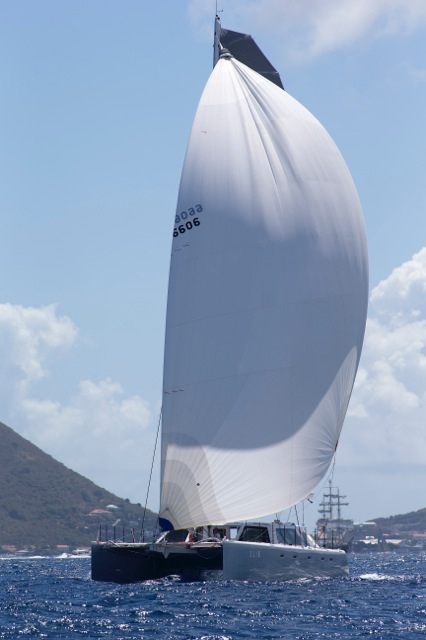 A canvas can be used to extend the shelter to the stern. 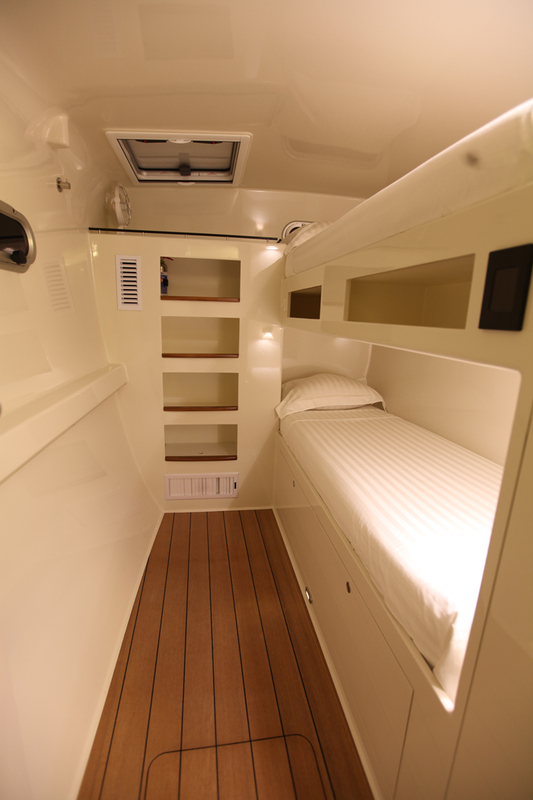 The lower deck contains the guest accommodation (consisting of a Master suite, one double cabin and a bunk cabin) as well as the crew quarters. 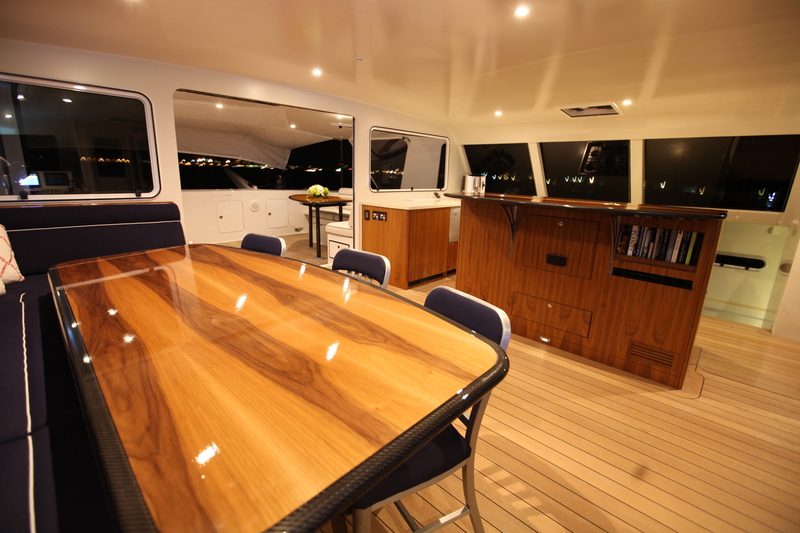 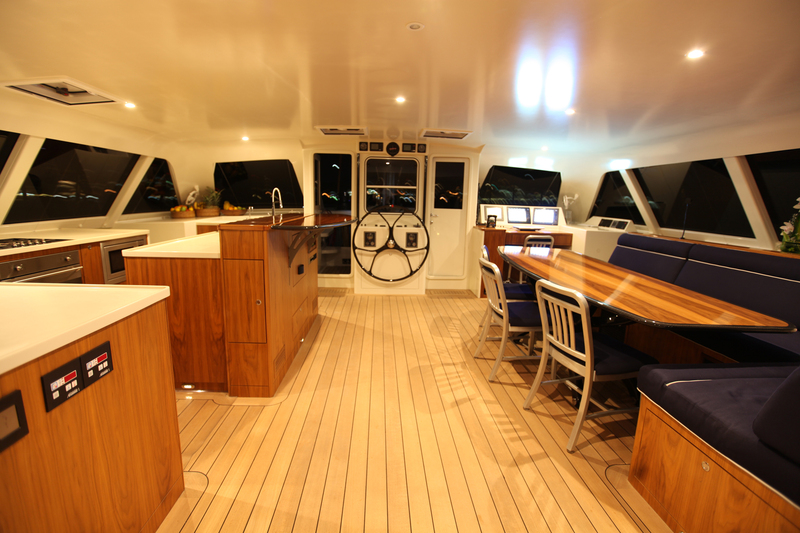 Above, the open-plan interior provides a port-side galley and starboard seating consisting of an L-shaped sofa and additional chairs around a raised table, for an ideal dining space or hobby area. 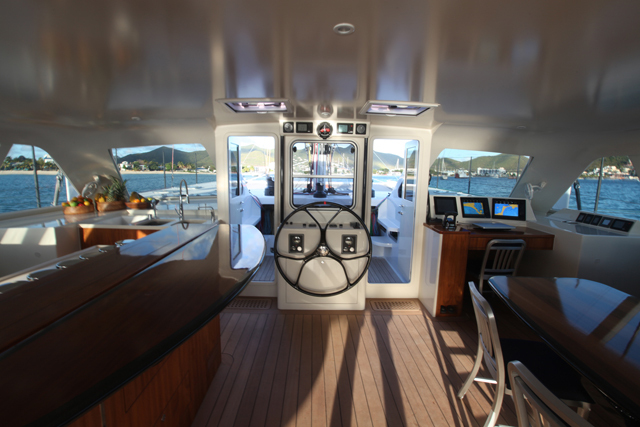 A pair of Volvo Penta D2-55 HP diesel engines provide cruising capability in low wind conditions. 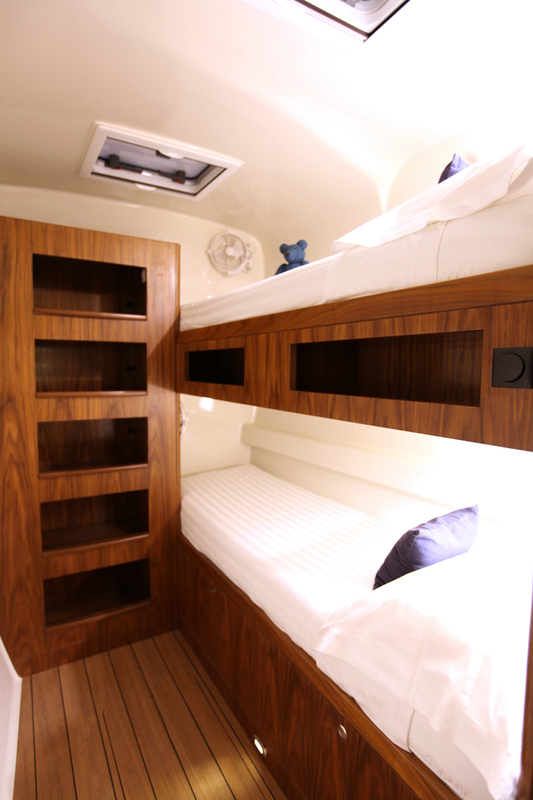 The accommodation sleeps a maximum of 6 charter guests across 3 en-suite cabins: 1 Master suite and 1 double cabin and 1 bunk cabin ideal for children. 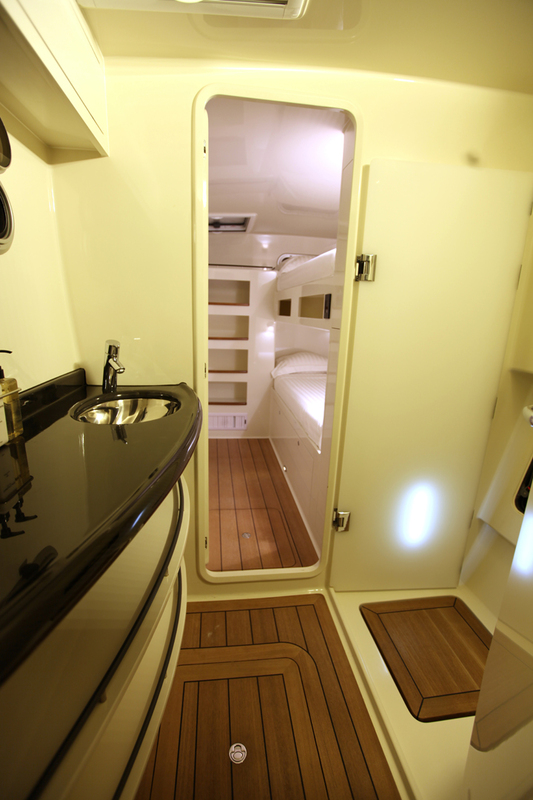 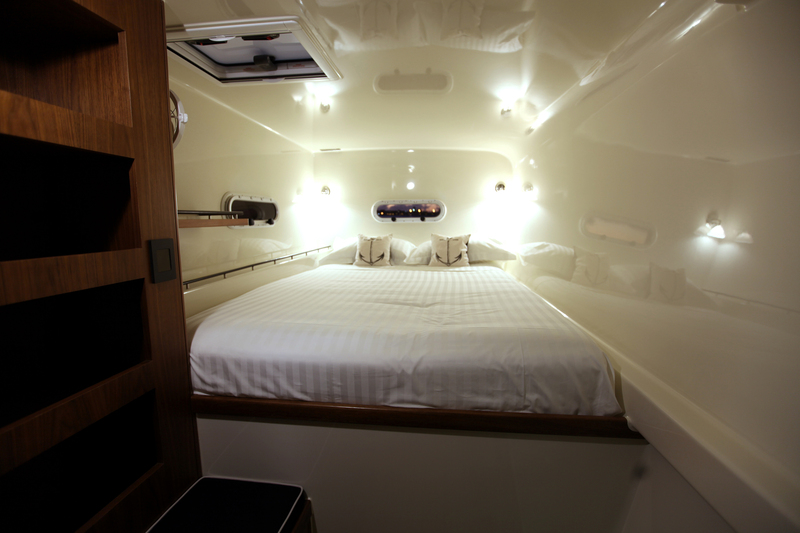 All cabins have an en-suite bathtub, a shower, a wide-screen TV, sound system and air conditioning. 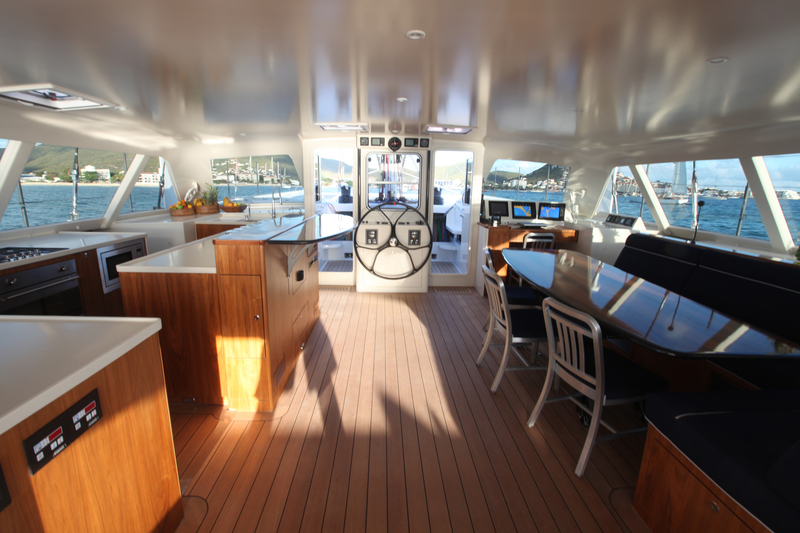 The crew of 2 will provide everything guests require for a smooth and satisfying sailing experience.